November 9, 2018- Ahhhh, audiobooks. There is nothing better than an audiobook, other than a paperback of course. In fact, I pick paperback first, then audiobook, then e-book. 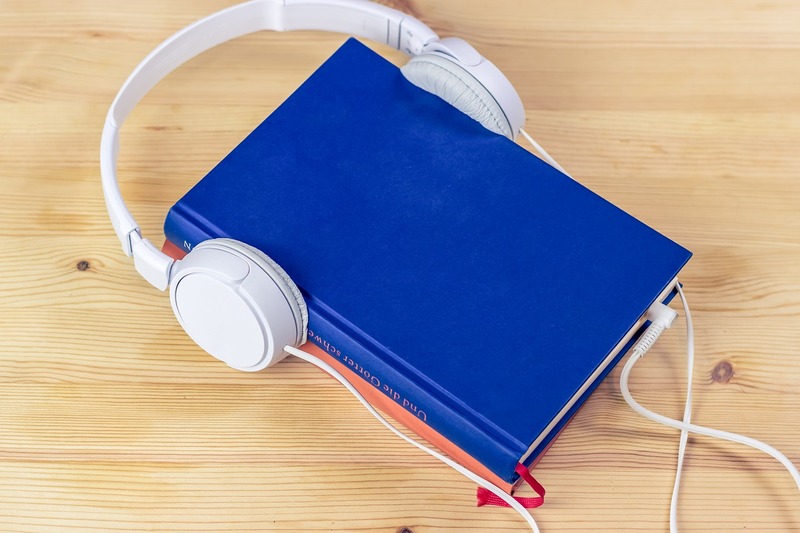 So what are the benefits of audiobooks and what place do they have in the literary community? Audiobooks can bring the characters to life, especially when the voice actor is amazing. Let me use an example; if you’ve ever read the Stephanie Plum series, One for the Money and so on, by Janet Evanovich, you’ll know what I’m talking about. The actor who does the voices for the audiobooks, Lorelei King, is so amazing that she sounds exactly how you would expect Stephanie and Lula to sound like in real life. This can also be a downfall, however! All it takes is a bad voice actor to ruin your favourite book. Like the person who reads the Murder, She Wrote series. Umm…why the hell is Angela Lansbury, not the voice? Exactly. Audiobooks are perfect for people who are on the go. You can listen to audiobooks anywhere, on planes, trains, and in automobiles. They are totally portable and you don’t even need wifi to use them. I bribe myself with an audiobook when I have to do things that I hate…such as the treadmill, or running. I plug in my earphones, turn on my audiobook and forget what I’m doing as I’m immersed in the story. Using audiobooks, I was able to “read” 60 books last year. I wouldn’t have been able to do it if I didn’t have audiobooks to listen to while I traveled. Audiobooks make non-fiction books go faster. A lot of non-fiction books can be utterly boring, especially when they’re about something that you’re not particularly interested in such as sales or the stock market. You can speed up your audiobook, skip to the end, and listen to them while you’re doing the dishes or making dinner. I know that audiobooks are different than Ted Talks, but I put them in the same category. Ask me when I don’t have a Ted Talk on…not very often! I think that we can learn things by listening and I’ve amazed myself more than once with the information I’ve retained by listening to audiobooks. Audiobook are excellent for auditory learners. I am an auditory learner in that I learn best by listening and not doing or seeing something. I’ve always learned this way and let me tell you, that schools do not accommodate this way of learning which is a shame. I was the kid that read each question out loud while doing homework because that’s how I learned. There are a bunch of different ways that people learn; Kinesthetic learners are people who learn by doing rather than by listening to a presentation or by watching a demonstration. Visual learners are those who learn by seeing something such as a graph, chart, or diagram. And as mentioned before, auditory learners who learn things by hearing/listening. I can’t tell you how much information I’ve learned from audiobooks, but it’s a lot! So, if you’ve never downloaded an audiobook because you think it might not be for you, I urge you to reconsider! Give it a try, you just might love it.